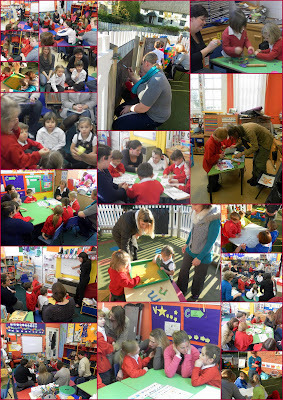 This morning, Red Class parents joined us for an interesting morning of writing based activities. The support received from parents was fantastic with over 3/4 of parents able to join us. The children took part in phonics sessions, handwriting and letter formation sessions, building up sentences using VCOP and then applying their phonetic knowledge to write a list of ingredients required to make a gingerbread man. 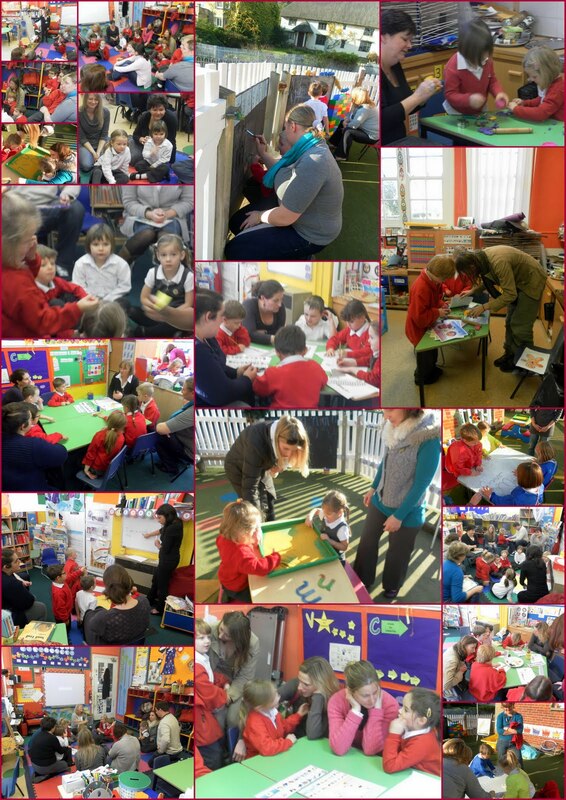 We were delighted with the outcome of the morning's activities and hope that it has given our parents a greater insight into the development of writing at our school. Went to the Blue Class Share morning today - it was excellent! It was great to get an insight into how the children are taught, and I was really impressed with how this subject is being covered. Good biscuits in the staff room, too! Yellow class share morning was fantastic, it was great to see how the children are taught and to see the development from a few words into wonderful tongue twisters, a very enjoyable morning & great biscuits!